This scrapbook contains copies of clippings, mostly from the 1940s and 1950s, about the baseball activities of Don Kirkwood of rural Topeka, Kansas. As a youth, Kirkwood played for the Capitol Post 1 American Legion team and the Junior Owls of the Kiwanis league. In 1940, he was an infielder for the minor league franchise that played first in Sioux City, then transferred mid-season to become the Mitchell (SD) Kernels. Following his Army service during World War II, Kirkwood played shortstop and third base for the semi-pro Topeka Decker Oilers from the late 1940s through the 1950s. The Decker Oilers were Topeka's most prominent semi-pro team during that period and frequently contended for the state title. The team won the state semi-pro tournament in 1948. In addition to clippings about the youth teams, Kernels and Decker Oilers, the scrapbook also contains material relating to Kirkwood's athletic activities while he was stationed at an Army rehabilitation hospital in Rome, Georgia during World War II. Kirkwood was a life-long resident of the Topeka area (1918-2013), where he farmed and worked as a substitute rural mail carrier. 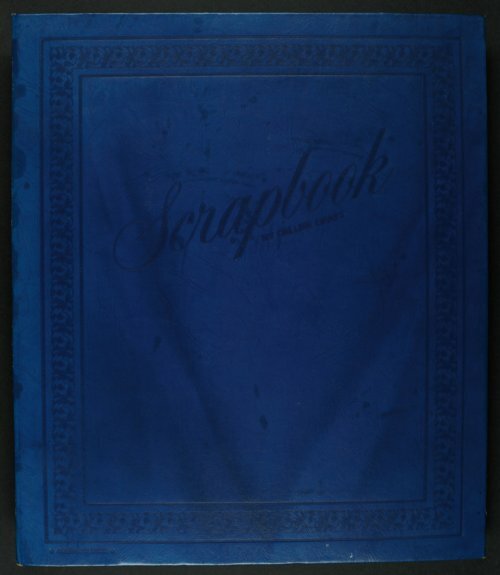 Digital reproduction of the scrapbook was accomplished through a joint project sponsored by the Kansas Historical Society and the Shawnee County Baseball Hall of Fame.